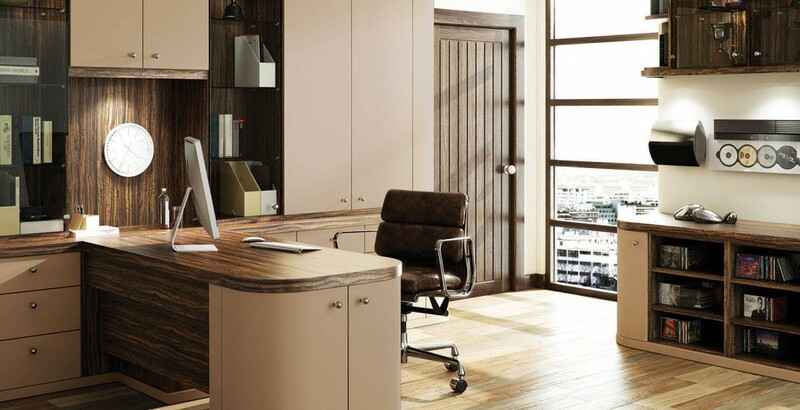 The muted Cappuccino tone dramatically matches the deep, luxurious Dark Olive finish in this Optima office. It’s a combination that is bold enough to make a statement, while remaining subtle enough to create a tranquil work setting. The gently curved doors and rounded cabinet profiles give your elegant furniture a contemporary twist, with practical pieces and storage features that serve your every working need.